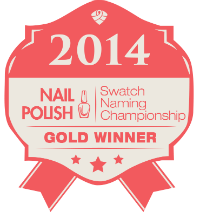 Life, liberty, and the persuit of nail polish! Hello lovelies! 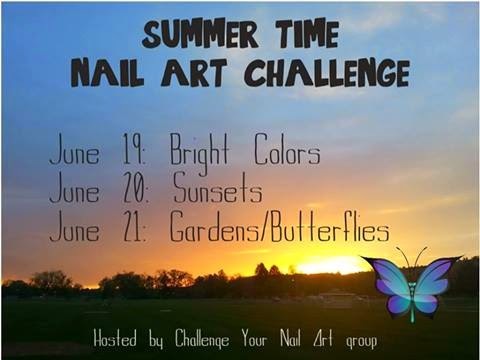 Today is day 3, the final day, of the Summertime Nail Art Challenge. Today’s theme is gardens/butterflies. I was so excited about the garden part, I forgot about butterflies! I decided to try out some polishes from the China Glaze Happy Holiglaze collection. At the last minute I also added my Green Glitter striper for some details. From R to L: China Glaze in Put a Bow on It, Mingle with the Kringle, and This is Tree-mendous, and LA Colors Art Deco in Green Glitter. 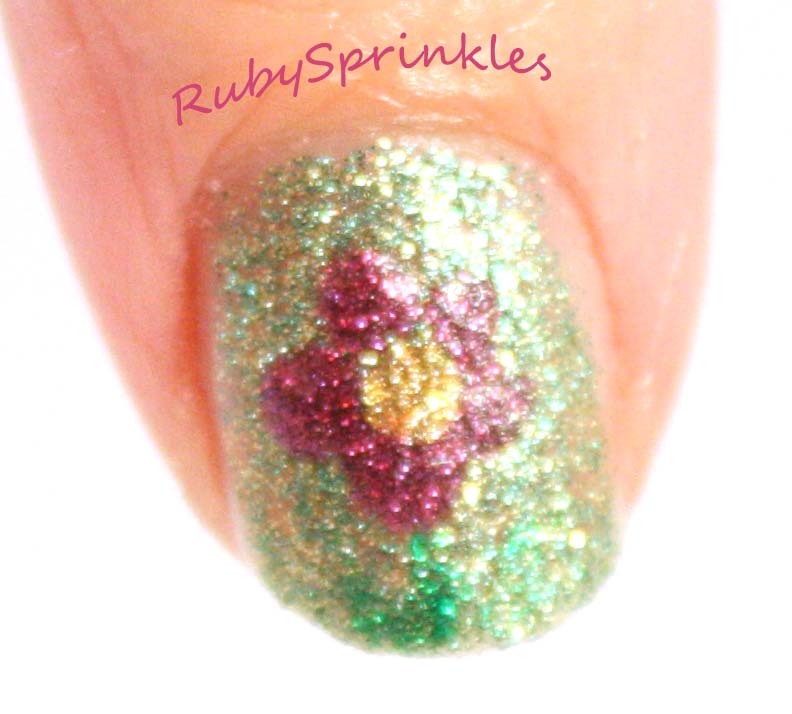 And here is my very floral garden mani! 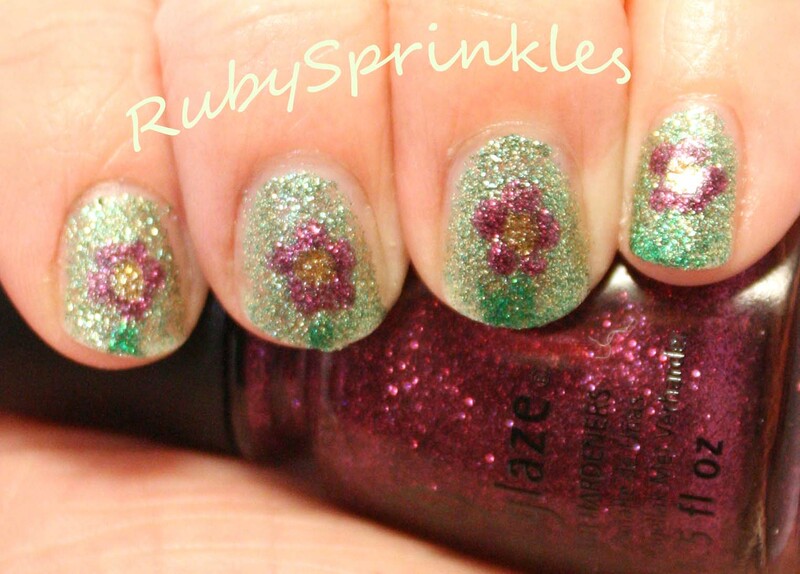 I used a dotting tool to make my flowers and then added stems and leaves with the Green Glitter striper. I really liked the China Glazes. This is Tree-mendous took two coats to achieve the look I obtained. I think three coats would have put it over the top! I now really want to see Put a Bow on It alone, but that will be another day!